How Can I Increase My Testosterone Levels for More Muscle Growth? This article will cover ways in which you can increase your testosterone levels in order to increase the speed of your muscle growth. Many people find it hard gaining muscle mass; they train hard, eat plenty and still see mediocre gains. 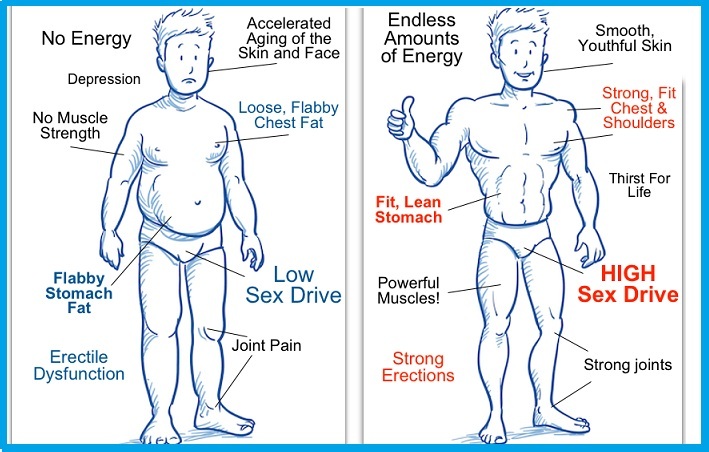 There is something else missing and that is the hormones and testosterone that will force your body to pack on muscle mass. Consuming more fat is a great way to increase your testosterone levels. Specifically saturated fat and cholesterol. These healthy fats create an anabolic environment, close to that of steroids. The best sources are eggs and beef. Increase your intake of eggs and beef and you could double or even triple your testosterone levels within a week. Eat organic, free range, grass fed eggs to get the best fat in the yolk. The yolk should be a dark yellow or orange; if it's pale this is a bad quality egg. Eat cooked eggs and add whole raw eggs to your shakes. Eat organic, grass fed beef for the best cuts. The more intense your workouts the more of an effect it will create on your body's hormone levels. You must shock your body into survival mode and force it to release the growth hormones and testosterone in response to the brutal training. Lift heavy weights with low reps to induce the greatest hormonal response. Perform big compound lifts that recruit more than one body part at a time. Exercises such as squats, deadlifts, barbell rows and bench press will all have a big effect of your hormones. Increase the intensity with each workout and aim for progressive overload. Your muscles must be constantly shocked into growing and never be allowed to fully adapt to the training. This may sound weird, but fasting after your workout for an hour or so, will actually dramatically increase your growth hormone levels. As your body doesn't have access to food it will release the growth hormones and give you a boost. Then once you have a high quality protein shake or meal, your body will absorb it up like a sponge. As you have elevated growth hormone levels all the protein will be used to build and grow more muscle tissue. Use these three methods to greatly increase your testosterone levels. Combine these with a great diet and training routine and you will gain large amounts of muscle in no time.